It’s not really a shock when we get a great Viking-inspired metal band rising up out of Scandinavia and enrapturing the world with the tales that have been passed down from generation to generation, making its way into the bloodstreams of black, death, and doom metal. Last I checked a map, which hasn’t been a while, granted, Michigan is not a part of that area encompassing Denmark, Norway, and Sweden, and even a secession from the United States could not get the state any closer. Obviously. So it might seem odd that Ifing, who take their name from the river in Norse mythology separating the gods from the giants, are making some damn exemplary Viking-based black metal in Grand Rapids, Mich. We’re talking stuff that could conjure memories of Bathory, Moonsorrow, Primordial, and even Summoning (there’s definitely a “Legends of Zelda” feel to some of what’s going on here), and their debut three-track offering “Against This Weald” is a real eye opener and a very pleasant surprise. Viking metal makes me either think of deep winter or the gushing first few weeks of spring, and since we’re in the latter, this record is really hitting the spot. Ifing is comprised of Fritz Petersen (vocals, guitars, bass, synth) and Tim Wicklund (drums, percussion, tin whistle), who also played together in Through the Mist, and their first release as a duo wisely was picked up by Finnish label Blood Music, which is situated right in the heart of the land where the lyrical and musical themes originated. This duo also infuses folk into the picture, but not in the beer hall chicanery sense, to complete a dark, stimulating, and even medieval style of music that might cause your mind to wander and dream of sword meeting sword, horses galloping through mud and blood, and great fires rising in the night as weary soldiers rest their bones over charred meats and great servings of ale. Now I need a beer. The record opens with “The Sires Beyond Await,” an eerie, wooshing instrumental that actually makes me think of something that could soundtrack a watery attack by Stannis Baratheon’s troops on “Game of Thrones.” Every time I hear it, that’s exactly what I think about. Waves crash, the synth has a glorious midnight at the castle feel, and that spills directly into the 13:07 “The Stream.” Moments after the song begins, the track bursts open with spacious melodies, folk measures that add color to the thunderous black metal explosion, and growls that are interspersed with soulful, clean singing. In fact, those two elements trade places quite often on this record, showing the diversity of Petersen’s expression and range. Eventually, acoustic guitars settle in, and the whistles make it feel like the leafy woods are all around you, but then the song relaunches into infectious power, giving the song an ending that is equally volcanic and mystical. Closer “Realms Forged” runs 18:34, and they make the most of that running time, filling it with all kinds of adventure. 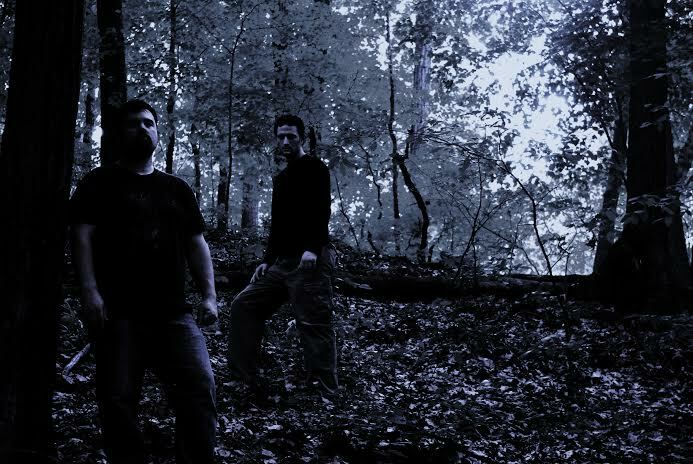 The opening bursts with power, with acoustic strains lurking behind for texture, and as the excitement builds, harsh vocals spill in, making everything feel tough and gruff. But, as you might expect, the tempo swings back again to the earthier side, with more whistles calling, and Petersen going back to more melodic vocals. Out of that pocket, strong guitar lines charge in and get the fires burning again. Wooshy keys and steady rainfall then make their way into the picture, with a long, murky section that begins to generate fog, and following some thunderclaps, the track erupts anew. The vocals switch back to devastating, passionate growls, the melodies fire up one last time and carry everything forward toward a climax, and some final folk elements return and wash away with the waves. 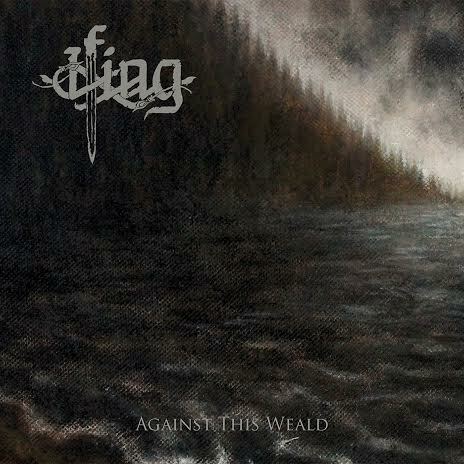 “Against This Weald” is a thoroughly enjoyable debut record from Ifing, and despite not hailing from the land where their Viking muses originated, they get the spirit and majesty of the movement right nonetheless. This record can be lush and moving, grisly and violent, and that all can happen in a single minute of one song. You’ll constantly be kept on the edge of your seat with this record, like you’re dodging high waves, keeping your enemies at bay, and feeling pretty damn adventurous once this killer album has come to its end. You can’t ask for more than that.